María R. Salazar was 5 years old when she held her first important job. Her second official field duty was counting potato sacks with a little notepad in hand, so that families, lined up in 10 rows – the Garcias, the Gonzalezes, the Martinezes among them, as she still remembers the faces – could get paid for a hard day’s work. Her first job out of the fields, however, came at age 16, when Salazar was accepted into the Upward Bound program designed to help children of migrant workers go to college. It provided an opportunity to work at the Oregon Rural Legal Services office for the summer. Salazar, 51, has never forgotten where she came from. Her early childhood experiences growing up among migrant farmers and their kids most definitely shaped her outlook on life and instilled a sense of justice and caring for others, which she has carried from the onion fields of Idaho to her adopted San Antonio. She also knows what it’s like to struggle, as she once did over her sexuality — and with the fear and uncertainties that come along with it, and then grappling with the precarious days that followed after she and her siblings found themselves navigating the family court system after her parents separated and a sister attempted suicide. 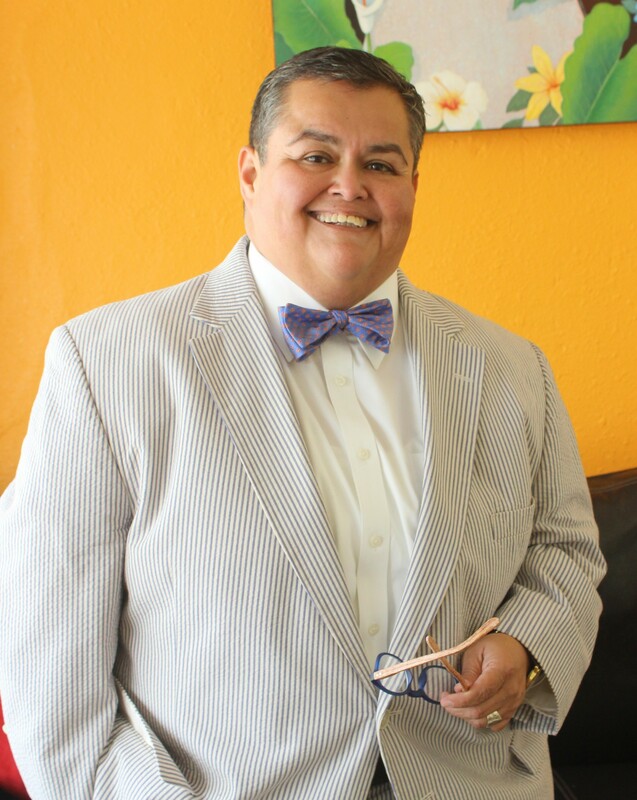 So it makes perfect sense, Salazar said, that today as an attorney, she is a voice for many of San Antonio’s vulnerable children, as well as an unsung advocate for the LGBTQ community. For instance, she is a founding member of the LGBTQ chapter of the League of United Latin American Citizens (LULAC) Council 22198, whose mission is to indeed affect change by establishing open communication between the LGBTQ and Latino communities by promoting social and economic opportunity and full equality for all. Anel Flores, a 40-year-old writer and artist, met Salazar at the Esperanza Peace and Justice Center in the late ’90s. In January 2015, Salazar and her partner, Jo Ann Castillo, spoke at Flores’ wedding in Isla Mujeres, Mexico, offering words of wisdom for a happy marriage. Sitting inside a small conference room at her law firm in the Dignowity Building on the Eastside on a late Friday afternoon, the confident and cheerful human rights crusader is reminiscing about her childhood, even showing a first grade school picture of her grinning, chubby-cheeked self in pigtails and a red-and-white checkered dress. As cute as it is, the photo is a hoot, and it’s hard to believe this is the same person sitting across the table, now sporting a crew cut and dressed in black slacks, blue button-down, long-sleeved shirt and black shoes. Absent is her trademark bow tie, perhaps because it’s after 5 p.m., so she can relax a little. That fashion statement started as a child. Although born in Idaho, Salazar was reared in Oregon and attended Willamette University in Salem on a scholarship. Later, she moved to San Francisco to be near her mom. There, she founded Ellas en Accion, a Latina lesbian political organization to help bring Latinos to the political and civil rights process. At the time, an uncle and other family members were actively involved with voter registration, the farm workers movement and a push for more bilingual programs in schools through LULAC, so she joined the national organization, too. While in San Francisco, Salazar also became a member of the Harvey Milk Democratic Club, clamoring for equal rights for gays and lesbians. The Golden Gate City provided a chance encounter with her future partner, Jo Ann Castillo, a San Antonio native. Although Salazar admits “we really didn’t like each other” at first, the two began working side by side on a number of political projects together. Eventually, when Castillo decided to return to the Alamo City in 1997, Salazar followed as long as she had three requisites: a coffee shop, an arts community and political activism. 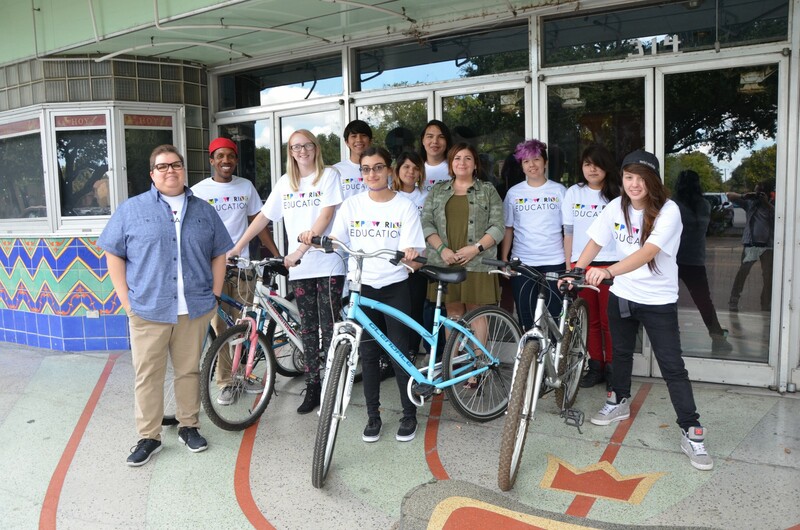 She found all three after moving here, first with the former Espuma Coffee Shop in Southtown, as well as performances at Jump-Start and then participation with the Esperanza Peace and Justice Center. Starting a new life in the Alamo City, she also enrolled at UTSA where she earned a bachelor’s degree in political science in 2001. 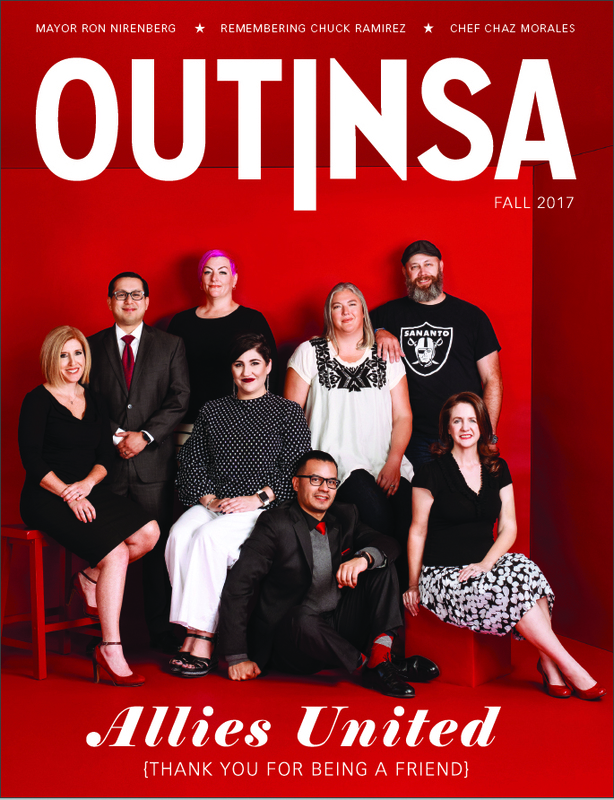 While working with the Esperanza, preparing to sue the City of San Antonio after it cut the nonprofit’s funding because of controversy over its gay and lesbian film festival and art exhibits, she got a taste for law. 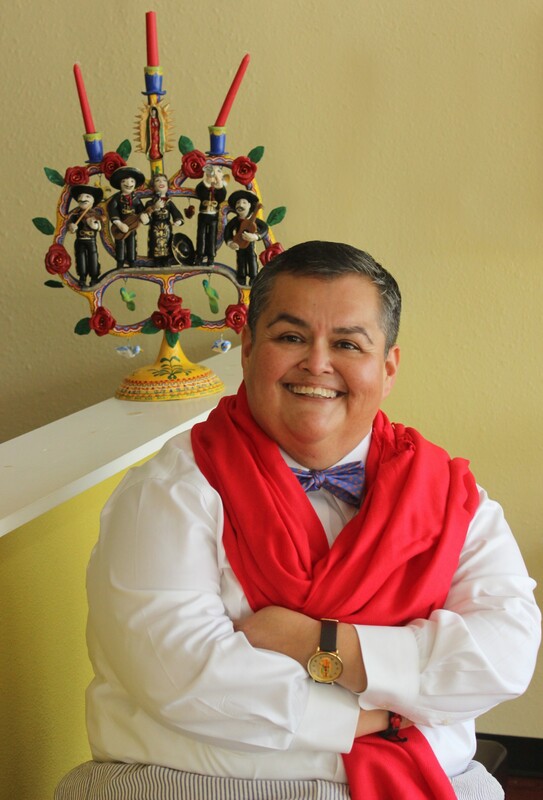 In 2014, Salazar, along with Rosie Gonzalez, Brad Veloz, Mike H. Rodriguez, Sylvia Garza, Esmeralda Zuniga and Robert Salcido, created the LGBT LULAC Council 22198 Orgullo de San Antonio. In July, it was awarded Council of the Year at the 87th annual National LULAC Convention in Washington, D.C. In her role as council vice president, the activist works to build bridges between LGBTQ and Latino communities regarding civil and human rights, marriage equality, non-discrimination and transgender issues, among many others, just as she does much of the same as a member of the Stonewall Democrats.